We have just a few weeks left until the April 15th release of the iPad version of Spiderweb Software’s latest RPG, Avernum 2: Crystal Souls. iPad-owning RPG fans everywhere are likely getting pretty excited, but there might be some of you out there who are curious about these Spiderweb RPGs and aren’t sure if you want to take the plunge at full price yet. Well, I could direct you to the demo versions that you can try out on your computer, but we’re an iOS site, so instead I’m going to point you at Avadon: The Black Fortress HD ($9.99). Like the rest of Spiderweb Software’s games, it usually sells for $9.99, but likely in celebration of the upcoming game, it’s currently on sale for half-price, or $4.99. That’s a great deal for a huge game filled to the brim with content. 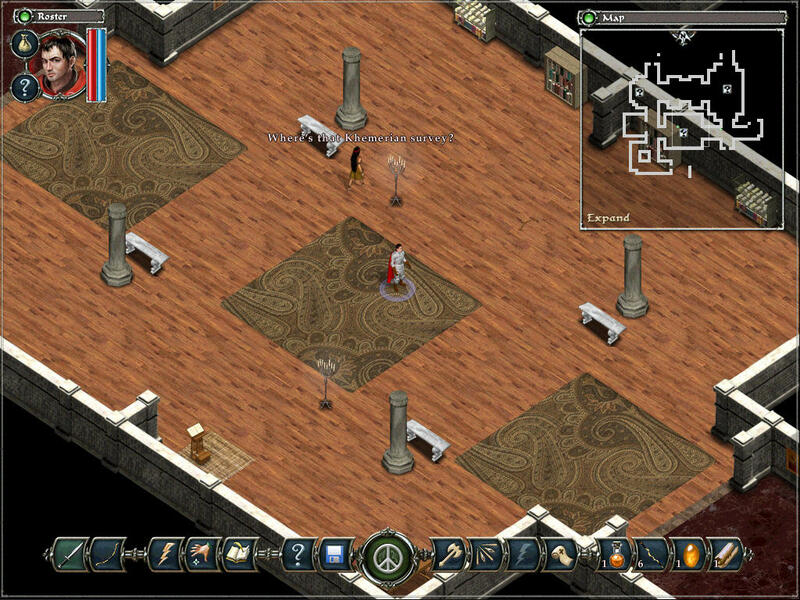 I recently played my first ever Spiderweb Software game, Avernum: Escape From The Pit ($9.99), and you can read how that went by checking out the RPG Reload article I wrote about it. If you’re feeling particularly energetic, you can also listen to the RPG Reload Podcast that Eric Ford and I recorded about the game. Basically, these games are big, enjoyable adventures along the lines of the latter Ultima games. They offer up dozens of hours of content, extremely open-ended gameplay, and plenty of gear and customization options for the min-maxer in all of us. You can check out TouchArcade’s review of Avadon if you’d like. Although the game is a few years old now, it still plays just as well as ever. There’s no indication of how long the game will be on sale, so if you’ve had your eye on Avadon and haven’t already grabbed it in a previous sale, you might want to grab it sooner rather than later. While it will certainly be on sale again one day, based on its history it’s not likely to ever go lower than $4.99. If you like what you play, don’t forget to keep an eye out for the upcoming release of Avernum 2: Crystal Souls on April 15th.